There's a rumor that the fastest vehicle around Mt. Akina isn't a racer, it's a tofu delivery vehicle. Sure enough there's a tofu shop run by a retired street racing legend. Few encounter him on the roads because he drives in mornings not evenings. It turns out, he hasn't delivered tofu in years, and it's his son Takumi who's driving. Takumi only got his licence a month ago, but he's been driving up and down that mountain every day for five years. Strangely enough he doesn't even like driving. Or so he thought. To Takumi, driving was just a job. He's perfected his skills because he gets bored on the road and wants to get home quickly. In order to avoid damaging the tofu before delivery he's honed some unusual skills. The legend of the guy in the AE86 has begun, but even though he's fast down the mountain, he's not experienced in racing. It's a learning experience, but also something Takumi excels at. Something that started as just a job is turning into his passion. Initial D is the defacto anime about racing. While you don't have to be a car nut to get into Initial D, it certainly lends itself to those who are. Cars screaming around a corner in a drift is exciting for some, and this anime pushes that excitement to its potential, but if you're fond of that kind of thing (like every woman I've ever dated), then this will likely bore you to death. Characters in Initial D tend to do sports announcer style narration, explaining what's happening. If you don't know why details about the cars are important, the anime clues you in, so car knowledge isn't required. 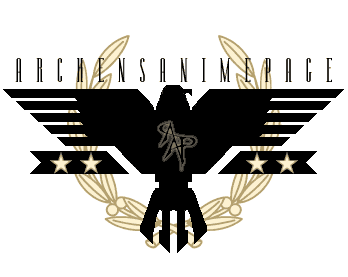 Some of it is absurd (even if theoretically possible), so keep in mind it's anime intended for entertainment. One of the things Initial D is known best for is the soundtrack. It's intense eurobeat (fast techno) that is crazy, hyper, spastic and infectious if you're into it. Anime fans tend to have a high tolerance for this kind of energetic music but it's not for everyone. You'll know after watching the opening credits if it's your thing or not. If not, keep in mind you'll put up with a lot of it. Initial D was first licensed by Tokyopop who replaced the music with generic hip-hop, which wasn't well received. After Funimation acquired the rights, they re-dubbed the series and restored the soundtrack. The other thing Initial D is notorious for is looking absolutely terrible. The source manga is penned by someone who's great at drawing cars, but can't draw humans worth a damn. 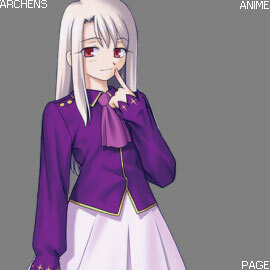 The anime replicates this style, coupled with a low budget to give visually painful results. 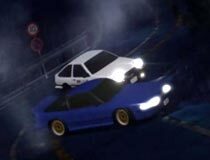 Initial D was an early adopter of CG animation, but for the cars only. They look like crap, but in a different way. The first season clashes with the mix between these styles, but season 2 is entirely done in CG and consistently terrible. Anime fans who are all about pretty pictures shouldn't even pick this up. Fans (like myself) get caught up in the racing enough where they forget how bad it looks, but yeah, it's bad. Initial D is mainly concerned with Takumi and his evolving racing skills, but there's also his budding relationship with his tramp would-be girlfriend. In fact Initial D has some of the most realistic characters I've seen, and I'd say most reminded me of my high school days (for various reasons). Racing adversaries tend to have eye rolling ridiculous personalities, but many develop into interesting reoccurring characters later on. Races typically go for 2-3 episodes, and feel episodic. Takumi learns new skills, and defeats opponents, only to go on to the next challenger who's far tougher than the last (due to either their car or their skill or both). The races are consistently exciting if you get into them, however having watched many episodes of Inital D now, I still think the first season had the most magic to it. The race against Impact Blue (Mako and Sayuki) remains my favorite. Funimation does an awesome job with the dub. Even as a sub purist, I'd recommend the dub over the sub. Natsuki (Anne Suzuki) shines in the movie, but the best performance in this series by far is Josh Grelle as Itsuki. Itsuki has a knack for being animated and over reacting, captured perfectly by his voice actor. The script is excellent as well, using slang in a way that doesn't make the cast sound like thugs that were trying too hard. Stage 3 (the movie) doesn't do anything that couldn't be handled in regular TV episodes, and basically feels like a bunch of squashed together manga chapters. It could have just as well been the Initial D Christmas special. The pacing is drastically faster, but this drags down the tension buildup factor. The characters never looked better than they do in this movie. The cars unfortunately still look pretty bad. 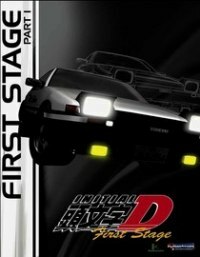 If you can get past the terrible CGI stuff, lacking designs in everything else, Initial D can be a really good title to watch if you're the sort to get caught up in the excitement. There are a lot of people who are indifferent about this series too, but I'd say if an anime about racing interests you, you should certainly give it a shot as those who like Initial D tend to REALLY like it. Takumi: You know dad, if you give me another 6 months or so I might even become a better driver than you. Bunta: What a load of horsecrap. I'll always be better than you.